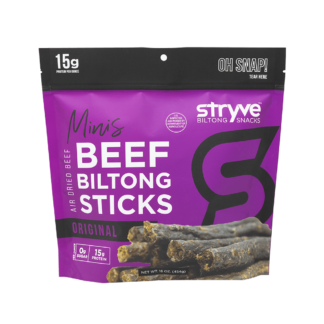 STRYVE’s Original Gourmet Beef Biltong is officially the meat snack of winners: it’s been chosen as the Convenience Store News 2018 Best New Product! 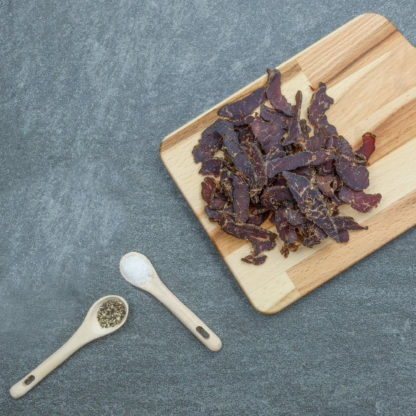 Made with simple ingredients and cured up to 21 days, Biltong is a wholesome and nutritious snack that is high in protein, low in carbs and sugar and incredibly flavorful. 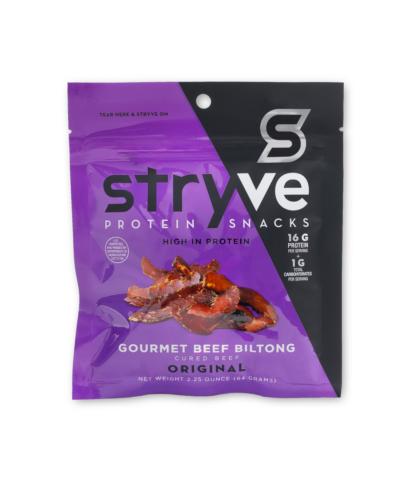 Stryve biltong is truly the tastiest and healthiest snack on earth! I absolutely love Biltong! Love how flavorful, tasty, thin they are. My kids and I love it. 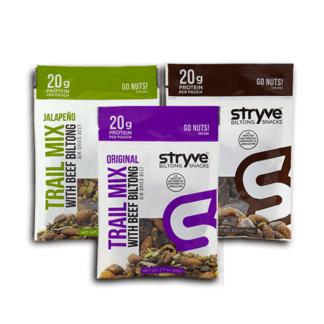 It’s also a very convenient, guilt free, and protein packed snack to carry on your bag at all times and eat it while you’re outside! 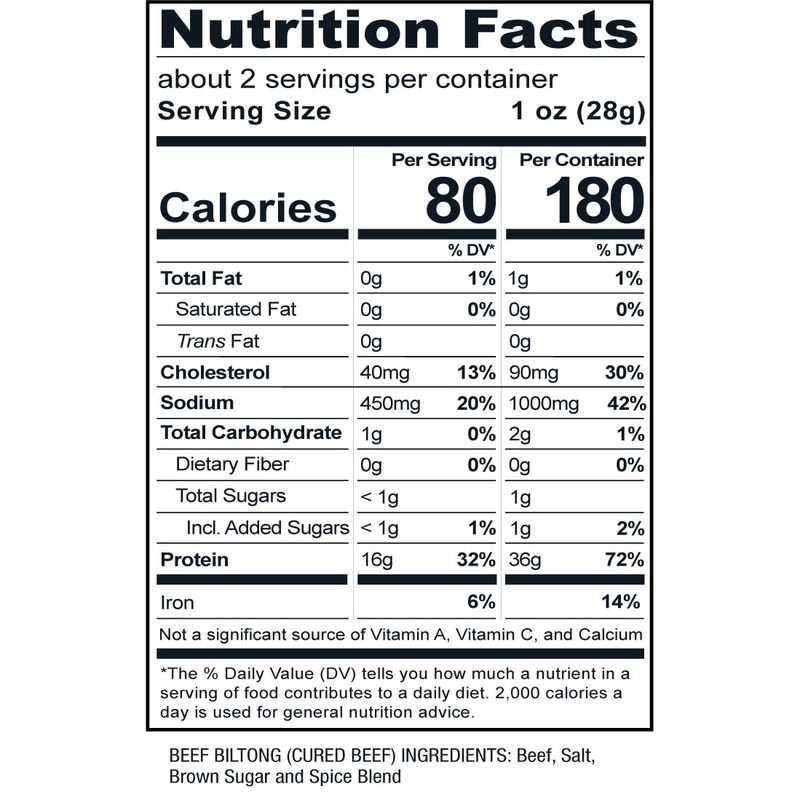 As someone with a very sensitive stomach, it’s very difficult to find healthy snacks. I’ve always loved jerky, but it never loved me back. Enter, Stryve Biltong… Not only is it “healthy” as a snack, and a great protein source, but I have no troubles with my stomach after eating it. I work more than 1000 ft underground, and Biltong is the perfect companion for me when I may not have a chance to get back to my cooler for a full meal. The packs are small enough I can throw them in my backpack that goes everywhere with me, and just grab it out and keep going as I chow down. I wish I would have had Biltong when I was in the military – what a perfect addition to the assault bag it would have been. 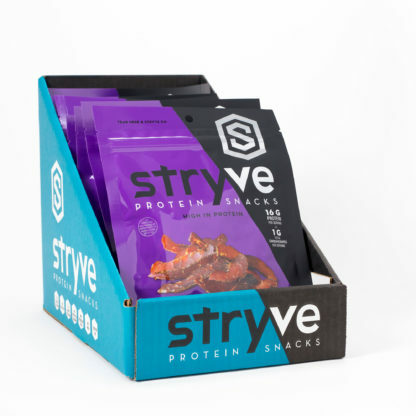 Thanks for a great product, Stryve Foods!! 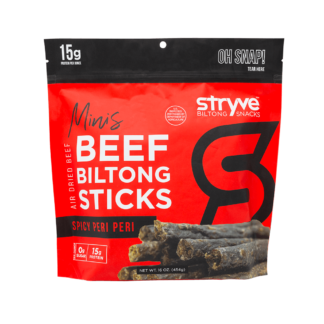 Biltong all flavors…. 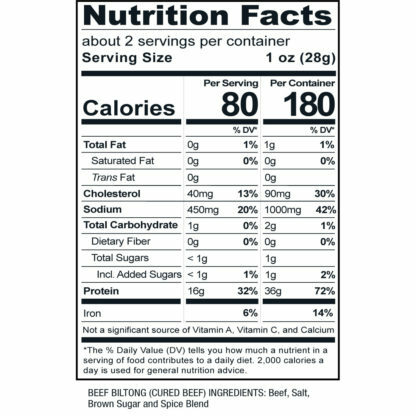 Perfect amount, texture and true flavors…. Perfect protein snacks to take everywhere at anytime…. You can even add into your salads or sautee for a great taste booster!!! No more boring flavorless prep meals. “I am obsessed with Original Biltong! With its outstanding nutritional profile, competition-prep friendly macros, and convenience, it’s allowed my prep to be so much easier! 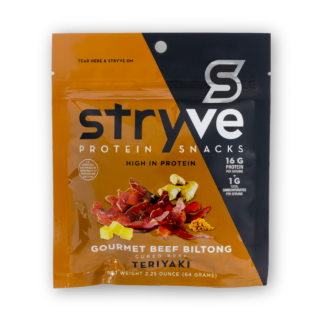 Most days, I’m too busy to sit down for a meal, and Stryve Biltong has literally helped me get through the day without missing a meal or required nutritional needs of my meal plan. Sometimes I’ll eat it right out of the bag, or sprinkle on a salad, to give it more flavor. Either way, I don’t know what I would do without Stryve, and look forward to those busy days that I get to enjoy such a delicious, guilt-free protein snack.